How Much is Your Sunrise Car Accident Case Worth? - Law Offices of David M. Benenfeld P.A. How Much is Your Sunrise Car Accident Case Worth? The amount of what is “fair” versus what a victim thinks they should receive often vary from one another. Also, factors like economics, evidence, trustworthiness, and actual damages play a critical role in determining the total value of a case. The only right way to know how much your injury case is worth is to meet with an attorney for a free consultation. An accident attorney reviews your case, considers past cases like yours, and then they can help estimate what amount you would receive if you win. Some factors come into play when determining how much a case is worth. There is no set formula that determines your accident value, but there are factors that do help increase or decrease the compensation value in settlement negotiations as well as at trial. The insurance company will evaluate the damages to a vehicle and pay to repair or replace it. This is part of the injury claim because the higher the damage value to the car, the more likely you suffered severe injuries. If your car has minimal damage, the insurance company will argue that there is no way you suffered the serious injuries you claim. Realize that this is only an insurance tactic. A person can suffer debilitating injuries even without their vehicle being totaled in an accident. Your attorney knows this tactic and how to protect you from it without lowering your compensation. The at-fault driver will have auto insurance, and the auto insurance policy is the first party that would pay for any accident claims. The policy value will play a substantial role in determining how much compensation you receive. For example, if a person has a $250,000 policy, and your injuries total $500,000 in damages, your attorney will assess whether the defendant has the means to pay the additional $250,000 out of personal assets. If not, then your settlement would not likely exceed $250,000, because there is no way to collect the other damages. The courts consider all means for paying a personal judgment; therefore, if your injuries have a higher value than the insurance cap, your attorney can use alternative methods to collect compensation. Medical expenses are by far the most significant portion of an injury case. The amount of compensation you receive for medical costs will depend heavily on the severity of the injury and the prognosis. If you will require continuous medical care and treatments, then your compensation for this category would be higher than someone who makes a full recovery. Obviously, if you are seriously injured enough to file an injury lawsuit, then you would have had to miss work to recover from these severe injuries. You can receive compensation for the time you took off from work to improve, but also hours lost for follow-up appointments, the time taken to meet with your attorney, and at trial (if your case goes that far). Furthermore, if your injury from the car accident makes it impossible for you to work in the future or you must work fewer hours for less pay, you can request compensation for your loss of earning capacity. You must prove with medical evidence that you would not recover fully from your injuries and that you will be unable to remain employed or find equal paying employment elsewhere with your skillset. A severe injury is not only physically painful, but it can be mentally too. You may suffer from emotional trauma, such as insomnia, anxiety, depression, or post-traumatic stress disorder (PTSD). The pain and suffering category of compensation helps to try to make you financially whole – even though no dollar amount would ever completely erase the memory or physical pain of your incident. A car accident case is complicated. No two accident claims are the same; therefore, you need an attorney who has experience with accident cases and filing injury lawsuits. Your attorney will review your case and help negotiate with the insurance company to get the settlement amount you deserve. If you have been seriously injured in a motor vehicle accident, contact the Law Offices of David M. Benenfeld P.A P.A today. 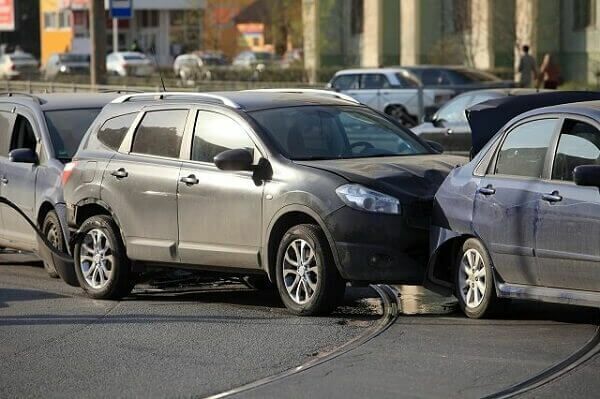 Questions to Ask Your West Palm Beach Accident Attorney How Is Fault Determined in an Injury Case?